that like the Official Facebook Page. You can rearrange the buttons in the order you like by Drag and Drop. Why we need another app for something that we already use in the Facebook mobile phone app? The answer is simple: because it loads quicker, have unique design and you can access a big functionality on Facebook just with one click over the app icon. 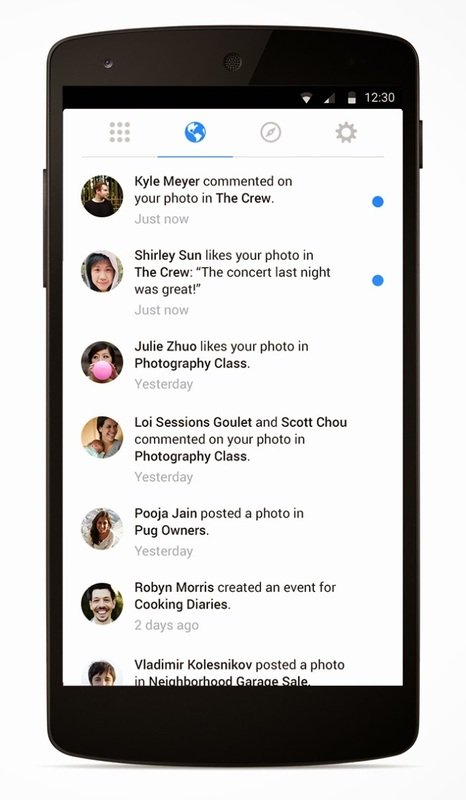 So we wait for the next apps from Facebook: News Feed, Search, Notifications, Photos and Statuses. Let we see the Groups app. It has a circle app icon and it look more in the iPhone iOS look. You can recognize the idea of the mind bubble. Light gradients and powerful colors. 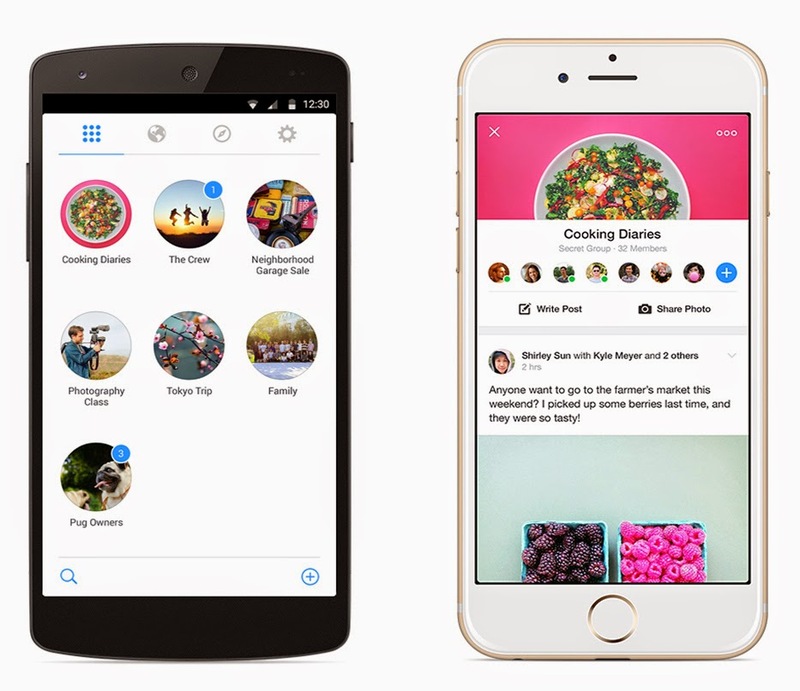 Facebook Groups use the same icon for iPhone and for Android, wich is not correct if you check the new Material Design guidelines. Here is a example how it have to be for Android. The idea comes from the Material Design: "Product icon design is inspired by the tactile and physical quality of material. Each icon is cut, folded, and lit as paper would be, but represented by simple graphic elements. ... The matte-like finish interacts with light through subtle highlights and consistent shadows." Maybe Facebook Creative Lab will change the icon in future for Android phones. All your groups are on the first screen. The groups with the newest posts are on top. Just click on a group and you are inside. Easy adjust your settings like which notifications you want to see. Here you can track the latest of your groups and friends. The brand new in this app is the Discover Tab. 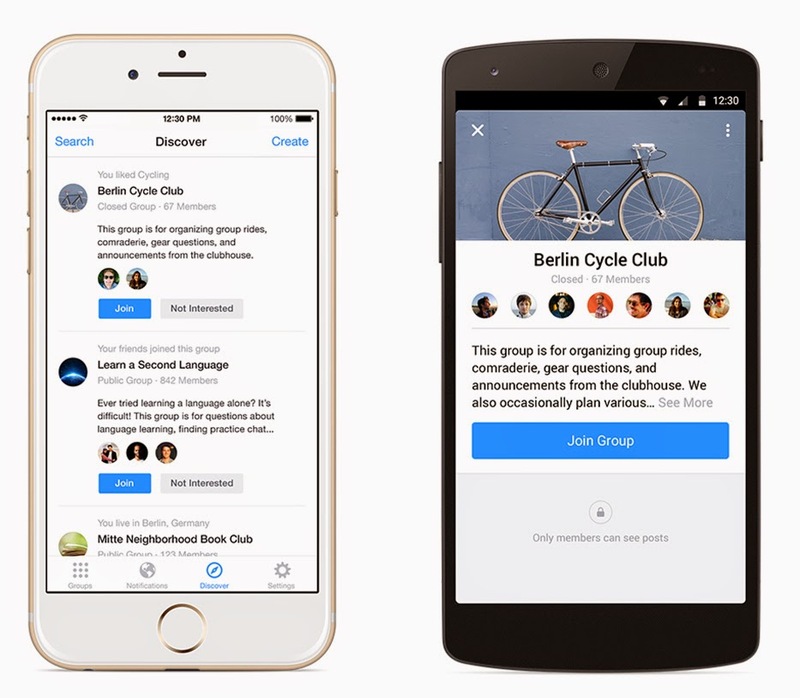 You can find interesting for you groups based on where you live, pages you like and groups your friends are. A news website, technology and social media blog about Facebook. 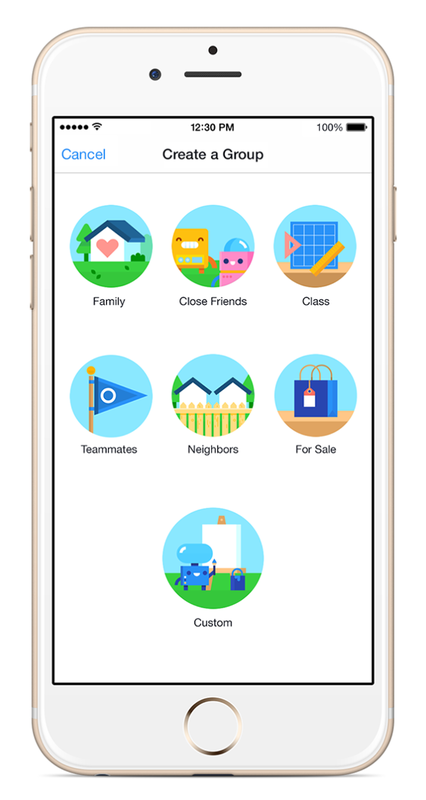 The website's primary focus is Facebook's news, but it also covers trends, new Facebook products and apps. Facebook doesn’t endorse or sponsor this website. Facebook doesn’t endorse or sponsor this website. Powered by Blogger. The main source of news for this blog are the official Facebook newsroom and the official Facebook for business news. Facebook doesn’t endorse or sponsor this website.